Despite the alterations in format, the primary focus for both Sri Lanka and South Africa will remain on the 50-over World Cup. The Proteas selected the same team for the first T20 International as they did for the ODI. Linda Zondi, the national selector, stated that Cricket South Africa will regard the game as yet another stepping stone to complete their Vision 2019 campaign. This is essentially their grand plan for success at the World Cup. Faf du Plessis, the captain of the South African cricket team, stated that he is 99.9% sure regarding the team he will take with him to the cricket tournament in England. All the changing and chopping of South Africa throughout a generally prosperous and long home summer has provided the team with a decent idea of which player does what. The Proteas have managed to regain confidence and form during the ODI’s. 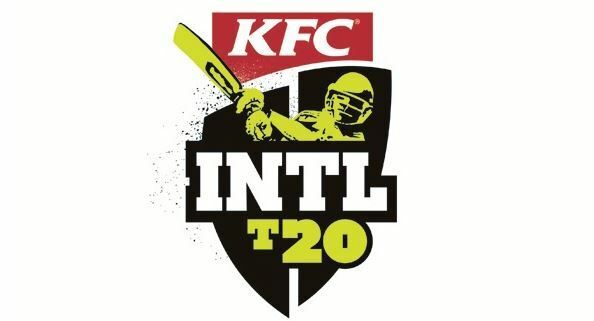 Although their focus is somewhere else, their T20 International outfit will be complicated to defeat. Sri Lanka seemed to have retreated since their rare victory that managed to open the tour. The glory and triumph of their remarkable Test series look like a distant memory following their 5-0 win in the ODI’s. The team is also currently facing yet another crisis when it comes to coaching. Chandika Hathurusingha has been requested to return to Sri Lanka, while Steve Rixon, the fielding coach, will fill in to act as the head coach during the T20 Internationals. Sri Lanka has been unable to succeed in one-day cricket, and they need to cover plenty of ground to make up for it during the 20-over format successfully. Sri Lanka is currently ranked 9th in the 20-over format, placing them below Afghanistan. They only managed to win 6 out of the past 20 matches when it comes to T20Is. Before they can truly focus on the World Cup, they will need to get their squad in order. Summer is coming to an end in South Africa. However, the weather should be beautiful in Cape Town during the tournament. The surface at Newlands is usually on the slow side. However, before the final day of the 5th ODI, fast bowlers from Sri Lanka and South Africa enjoyed both bounce and pace so that anything can happen this time around too. The last time a T20I was played at Newlands was when South Africa faced Pakistan in February where South Africa accumulated 192 for 6. This is considered the highest total recorded at the venue when it comes to T20Is. No cricket player has scored a century at Newlands during a T20I. JP Duminy has the highest recorded T20I runs at Newlands, scoring 229 runs from 7 matches. Sri Lanka has enjoyed two T20 Internationals in Cape Town, losing to Australia in 2007 and defeating South Africa in 2017.